A roof is probably the most critical part of your home. It protects every other part of your home, so when it’s damaged, you want to get it fixed fast. But roofs last a long time, and most homeowners will only replace a roof once or twice in their lifetime. Also, most homeowners rarely get up onto their roof, and roofs are not a very well understood component of their homes. Put that all together, and you can begin to understand why roofing has a higher rate of scammers than almost any type of home repair. 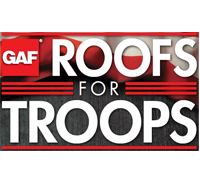 Nervous homeowners with little knowledge of roofing make easy targets for scammers. But you can learn how to avoid falling for a roofing scam with these tips from Eagle Watch Roofing. As honest, reliable roofers, we really hate roofing scams and the scam artists who use them. It makes our industry look shady and unreliable. Unfortunately, there’s little to do about it, other than to teach consumers how not to fall for scams. Just do a quick news search online for roofing, and you’ll find article after article about crooked roofers. So how do you know who to trust? In fact, we don’t even want you to trust Eagle Watch Roofing without doing your research. Before you use our services, we encourage you to take a look at our testimonials from real customers. 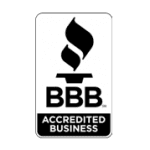 In addition, you can check out our A+ rating with the Better Business Bureau. Finally, feel free to contact us and ask for some references. We’re happy to provide references from local homeowners who had a great experience with Eagle Watch Roofing. If a roofing company doesn’t let you do that kind of homework before hiring them, you should already be on the lookout for a scam. Besides that, here are some common roofing scams to be aware of. If you know what to look for, you won’t fall prey to the despicable scammers. If you go to see a magician, you may be amazed by their seeming ability to suddenly vanish in a dramatic puff of smoke. But when it comes to hiring a roofer, a vanishing act is the last thing you want. This scam is pretty much outright theft, but it happens all the time. This scam is simple. A roofer asks for a down payment, cashes the check, and you never see them again. This scam is most often aimed at homeowners who own their homes outright and are in a position to make an insurance claim. Normally, when a homeowner makes an insurance claim, the insurance company provides a downpayment check that is made out to the homeowner and the mortgage company. That makes it harder for the scammer to take the money and run. But when there’s no mortgage company in the equation, the roofer can more easily cash your check and vanish. However, even if a check is made out to you and the mortgage company, don’t trust just any roofer. If a roofer is crooked enough to steal your money, they may be crooked enough to forge an endorsement from the mortgage company. It’s a serious crime, but unfortunately, criminals abound. Avoiding this scam is almost as simple as the scam itself. You can prevent a roofer from disappearing with your money by not giving it to them in the first place. Of course, any roofer needs to get paid eventually. But an honest roofer won’t ask you for money without anything in return. If you’re dealing with a reliable roofer, ask them to at least deliver supplies before you give them a downpayment. That will scare off most scammers since they don’t want to go to the expense of abandoning a bunch of materials just to get your check. These scammers like to take their show on the road. Storm chasers follow the weather, showing up in droves after a severe storm hits a neighborhood or a whole city. They feed on the fear and trauma of homeowners whose homes have been damaged. Sometimes, they will even go after homeowners with little or no damage and convince them that they need a new roof. After a strong storm hits, a neighborhood or even a whole city may be reeling from the impact. Hundreds of homeowners are left trying to put their lives back together. Suddenly, a bunch of storm chasers show up in the middle of the trauma and offer a quick fix to make things better. Distraught homeowners are eager to protect their homes, so they agree to all sorts of things. Storm chasers know that after damaging weather, it’s insurance companies who will be picking up the bill. They may offer a number of scams, from insurance fraud to low-quality roofing to fabricating damage on homes that may have actually weathered the storm. A homeowner thinks they’ve gotten a great deal, the scammers leave town, and the problems only show up later. Of course, by the time the problems creep up, it’s impossible to contact the scammers. After a storm, it can be tough to put your life back together. Quick and easy fixes are a welcome reprieve. Plus, if your roof is damaged, you may fear further damage to your home if it isn’t fixed quickly. The most important thing you can do to avoid this scam is to keep your cool. Storm chasers use every scam in the book to make a quick buck and get out of town. Do your research. Don’t sign anything on the first visit. Let your insurance company take a look at the damage. Simply slowing down the process will lead many storm chasers to abandon your roof and move on to an easier target. A good Samaritan is a welcome helper. But some criminals will dress up as a good Samaritan roofer to separate you from your money. Don’t let this seeming do-gooder do you wrong. Someone who looks like a roofer shows up at your door. They’re quite friendly and want to do you a favor. The roofer explains that they were just passing by (that’s already a bad sign) and couldn’t help but notice your roof. 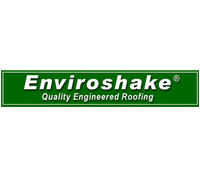 They helpfully inform you that there is damage up there that they can see from the street, but they would be happy to take a look and give you a quote for repairs. The roofer then climbs up onto your roof and shortly comes back with a very serious face. The damage is worse than they thought. You need some extensive repairs or even a replacement. But don’t worry, this friendly good Samaritan can take care of it for you at a great price. Just sign on the dotted line. Reliable roofers have better ways of earning your business than showing up at your door unannounced. This smooth-talking criminal poses as a helpful stranger, but doesn’t have your best interests in mind. 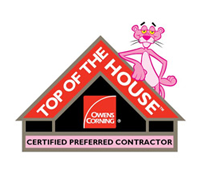 If a roofer offers an unsolicited inspection of your roof, slow things down. You wouldn’t let a stranger just walk into your house, so why would you let them on your roof? We’ve seen situations where a trusting homeowner let a scammer on their roof and the scammer actually fabricated damage that wasn’t there. These crooks will pull up shingles to simulate wind damage, or take some shots are your roof with a hammer to mimic the effects of hail. Avoiding this scam falls under the category of that old advice, don’t talk to strangers. Don’t let them in or on your home. You can be polite, but never sign anything on the first meeting. Take your time to get competing bids and research the company. Ask for references and check for online reviews. Don’t get talked into a fast deal. We hate that we have to say it, but don’t trust just any roofer. This world is full of criminals who are out to exploit you for your money. From the time we are children, our parents, teachers, and loved ones help us navigate a dangerous world. As we grow, the advice grows with us, but it is always the same common sense. Don’t become a victim. From an early age, we are taught not to talk to strangers. As we grow, we learn not to tell someone on the phone that there are no adults home. As we become adults, we learn to never give out our personal information. Always meet strangers in a public place. Ask your Uber driver for their name, instead of giving them a name and asking if that’s them. These are all ways we protect ourselves, and the same goes with roofing. A smart consumer is much less likely to become a victim of roofing scammers. At Eagle Watch Roofing, we take your trust seriously. That’s why we will always give you up-front pricing with maximum transparency. We want you to know what we charge and why we charge it. We know that a good reputation is the only way to do business. That’s why we encourage you to read our testimonials. We also know that our best ambassadors are our satisfied customers, and we want you to be our next ambassador. Contact us today for a free consultation, inspection, or estimate. We promise a low-pressure, honest approach and a customer-first work ethic.